If you love to be with dogs, the pawed duo will be more than happy to welcome you. 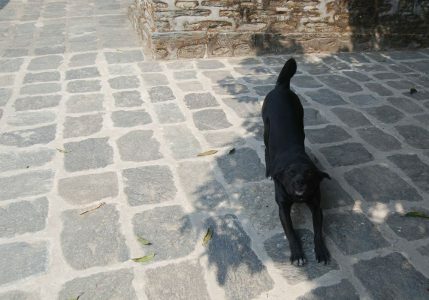 Tiger and Blackie are the two hounds who guard the farm and also accompany the guests in their nature walks. Tiger is very tame and friendly with our guests. And, Blackie welcomes you by jumping up. He would play tug- of- war, toy pickup, rough- and-tumble and takes you for river walk.